Do you think that you somehow seem to be a magnet for mosquitoes no matter where you go? If you have answered in the affirmative, then you would surely love to check out something that can help you out – or so it claims, whenever you are outdoors. I am referring to this $19 Eucalyptus Aroma Anti-Mosquito Shoelaces. Sounds like an idea, doesn’t it? The name of this pair of shoelaces give the game away, really, as it is ideal for the summer days which are spent outdoors, and you do not want to be affected by them nasty insect bites. 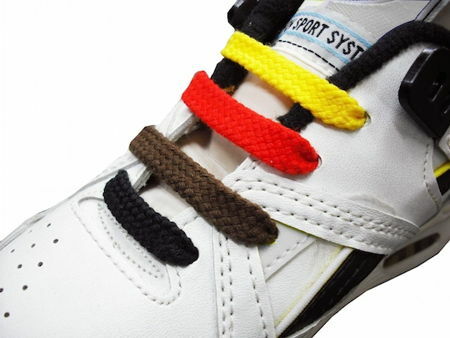 Specially developed by Osaka-based Mori Seichu, there are 8 different colors to choose from, and being thick shoelaces of their own, they are extremely suitable for sneakers or running shoes. Needless to say, these are made in Japan, but there is no guarantee that they will keep that creepy guy away from approaching you though.